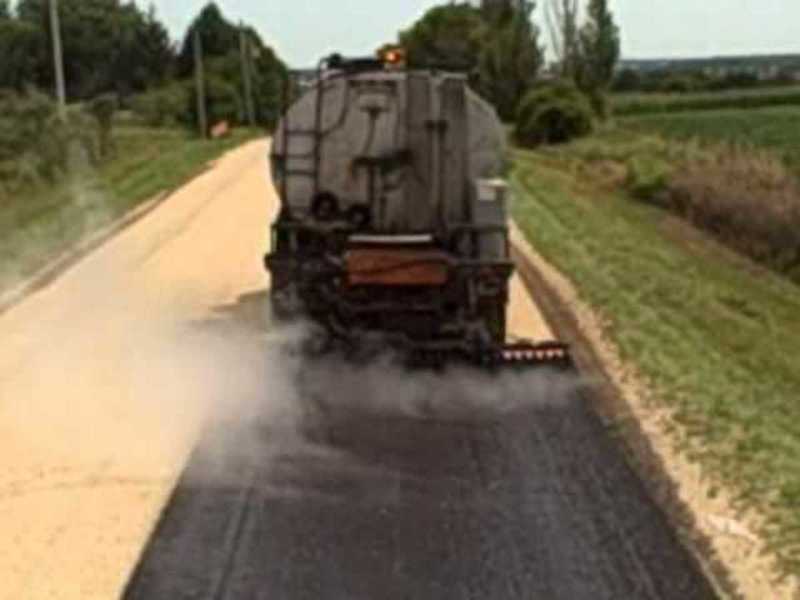 A prime coat is an application of low viscosity binder material to the surface of a granular base, or the mixing of a low viscosity binder material into the upper portion of a granular base in preparation for an initial asphalt layer or a chip seal. Traditionally, the binder has been an asphalt cutback, but asphalt emulsions and non-asphalt emulsions are gaining acceptance. It allows long areas to be primed, which subsequently allows long, continuous applications of surface treatment, thus reducing the number of transverse construction joints. This enhances pavement smoothness and ensuing pavement performance. An actual life extension estimate for this benefit is difficult to determine.